Every year I search the stores for just the right Mother’s Day gifts. That day, more than any in the year, I want my mom (and mother-in-law) to feel cherished, loved, and appreciated. Yet I’m learning that her favorite gifts aren’t the ones where I’ve spent a lot of money. Her favorites are the handwritten cards and crafts from long ago. Now that I’m a mom, I completely agree! I cherish the priceless works of art from my kids more than anything. 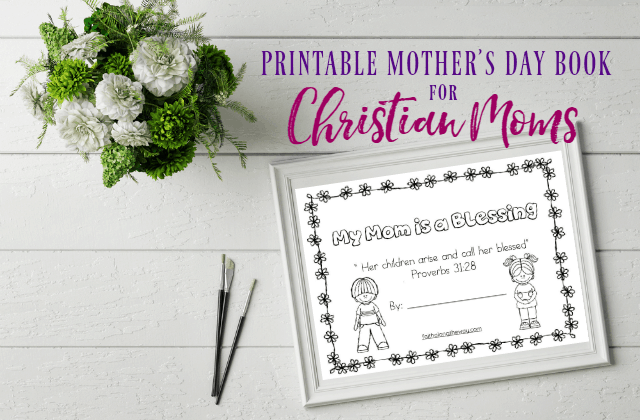 This printable Christian Mother’s Day book is a perfect keepsake that mom will treasure through the years. Plus, this book is written especially for the Christian mom. Each page has a Bible verse that will encourage her heart and point her to Jesus. She will also cherish the sentiments written by her children for years to come. An open border for kids to decorate and color. 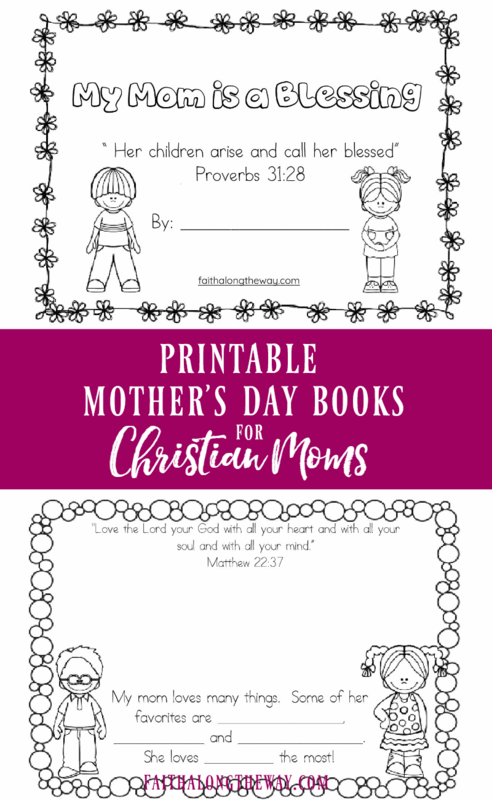 Bible verses encouraging the Christian mom. Questions for children to answer about their mother. An open space for children to draw pictures of special activities with mom. Then, let the kids write their special words to mom and decorate as they wish. Finally, bind the book with washi tape or fasten together with the method of your choice. As the kids present this special memento to her, be sure they shower her with hugs and kisses! Enjoy! One of my favorite responsibilities as a parent is helping my children grow a firm foundation of faith. (We LOVE the printables in the Family Bible Study Toolkit to make Bible study practical and simple for busy families). As a parent of children with special needs, I appreciate the creative ways that Rosanna of Extraordinary Everyday Mom teaches her kids to memorize Scripture. In her post, 6 Ways to Help Your Child to Memorize Scripture, she offers great suggestions for making this process practical for parents and children. Enjoy! Why Didn't They Tell Me THIS About Motherhood?